I went to Catalina Island only once and had an awkward time there. I say awkward because I went with YMCA and it really wasn’t a vacation, but more of a summer camp that I could not escape from. 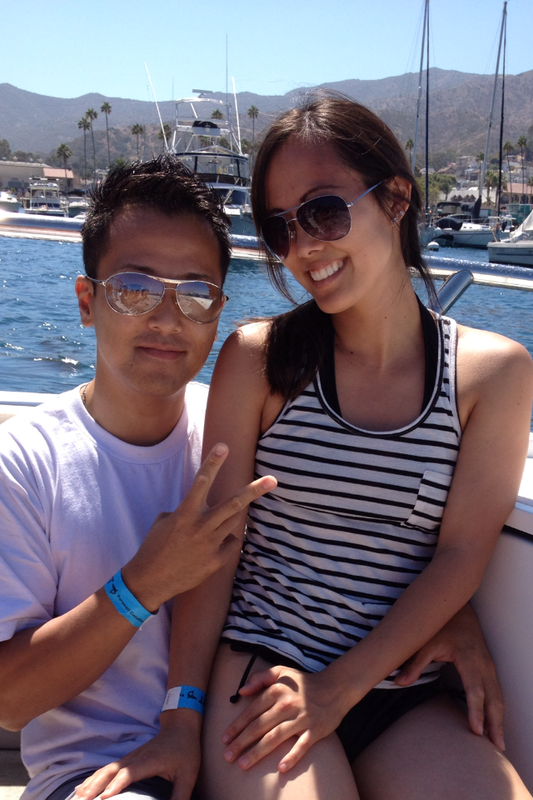 Anywase, when my husband and I started dating, he suggested that we go on a little getaway to Catalina Island. I wasn’t really impressed until we got there. It completely changed the outlook I had on that island so many years ago. Now I can say that Catalina Island is a beautiful place to visit even if you are a local. 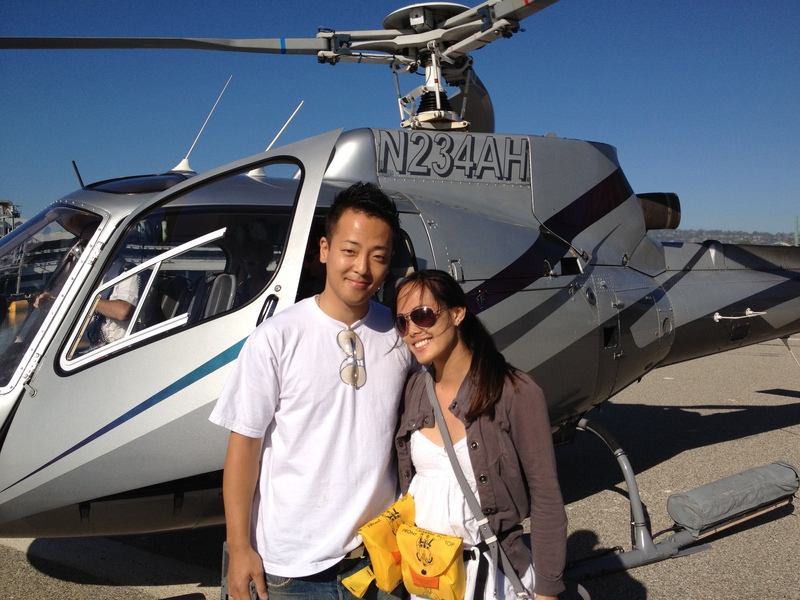 We did many activities on Catalina Island. You will be surprised at how many things you can do on this tiny island. I also heard that there are only about 10,000 people currently residing on the island. There were many interesting facts about this island that I never knew about. 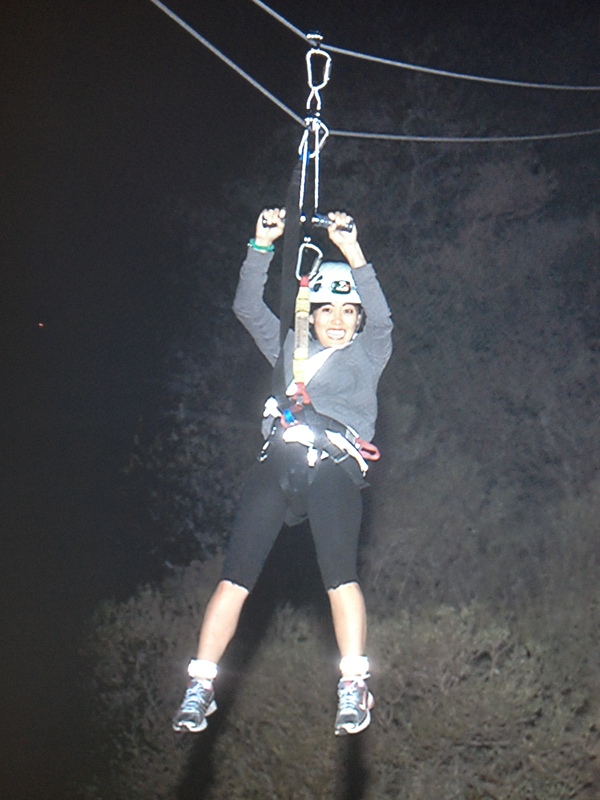 Here are photos of us zip lining at night time. It was actually really scary. I’m not usually scared of heights, but the dark is a whole another story. I had fears of the wires breaking and me falling down in pitch darkness. Of course, none of that happened. I was still alive at the end. The people who help you to get on the zip line are professionals and they talk you through the whole process until you get to the end of your destination. I would recommend zip lining during the day if you want to enjoy the scenery because when you do it at night, you can’t really see much. I feel that people who do zip lining at night do it for the thrill like my husband; he enjoyed it the most. Just for your information, if you zip line at night, it is cheaper than if you zip line during the day. Even if you decide to stroll around Catalina Island, everywhere has a beautiful scenery. 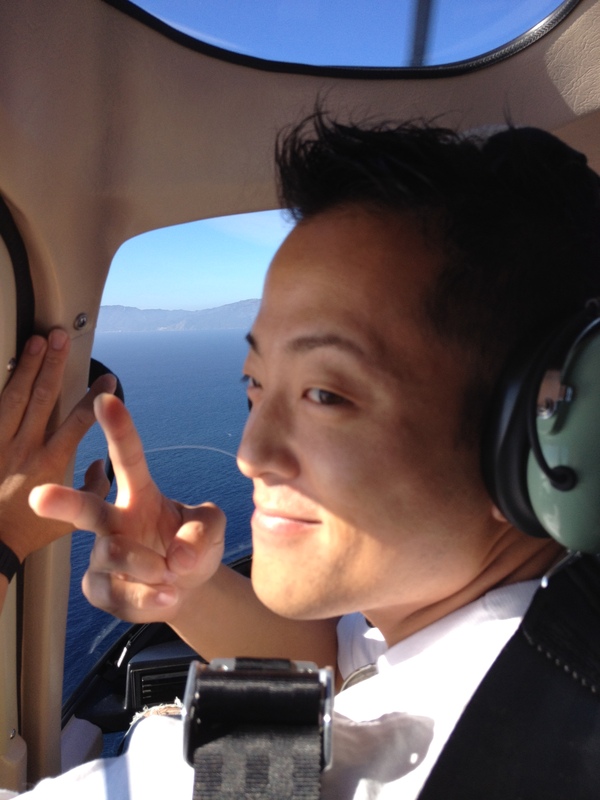 Here are some photos we took with Catalina Island in the background. This entry was posted in Travel and tagged カリフォルニア, Catalina Island, catalina island activities, catalina island activities for kids, catalina island family fun, catalina island things to do, catalina island tours, catalina island trip, catalina island visitors guide, catalina island zipline, family activities in catalina island, family vacation to catalina island, parasailing in catalina island, parasailing in catalina island reviews, vacation, zipline catalina. Bookmark the permalink. What a cool getaway! You guys really rode in in style! I havent been to Catalina since I was a child either! Did you stay overnight? Where do you recommend staying, Avalon or some other part?